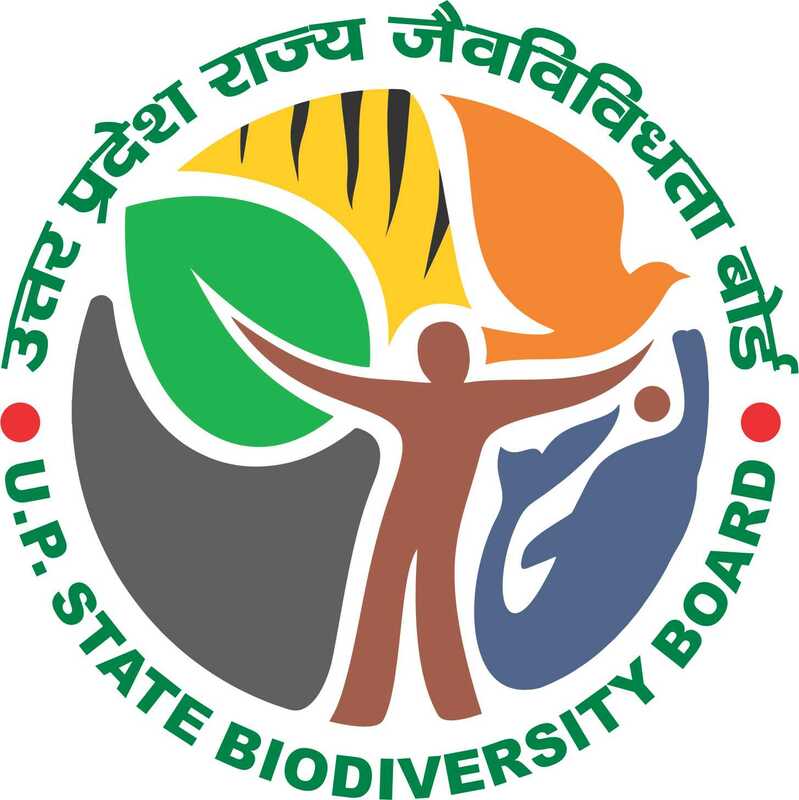 The UP State Biodiversity Board celebrated the International Day for Biological Diversity on 22 May, 2008. A National Conference was organized on the occasion on the theme of Biodiversity and Agriculture. The welcome address was given by Shri B.K. Patnaik, Principal Chief Conservator of Forests. The conference was inaugurated by the Honorable Minister for Forest, U.P, Shri Fateh Bahadur Singh. The Principal Secretary, Forest, Shri Shrikrishan addressed the conference on the occasion. He said the objective of the conference was to provide a platform for experience, sharing and brainstorming for ensuring a more scientific, comprehensive and sustainable strategy for the conservation of biodiversity. If the earths population is to feed itself in the 21st century and beyond humankind needs to preserve the Biodiversity that grants us our own complex and diverse lives. A Souvenir titled Biodiversity and Agriculture was released by the Forest Minister on the occasion. Prizes for the photography contest organized by the Lucknow camera club and the UP State Biodiversity Board on the theme of Biodiversity and Agriculture were given on the occasion. The first prize was won by Shri K.Praveen Rao, OSD, Forest, the second place was taken by Vikas Babu and third place went to Nandan Singh Bist. Padam Bhusan Professor R.B. Singh spoke on Biodiversity and Agriculture. He spoke on how agriculture not only contributes to the conservation and sustainable use of biodiversity but is also a driver of biodiversity loss to an extent. He spoke in detail on the issues in genetic resource management in the changing global context, climate change, biodiversity and biosafety. He said that today there is an unprecedented pace of erosion of biodiversity shrinking options in the face of increasing problems of climate change, population pressure, globalization. Proper genetic resource management is the key for ensuring food security for the world population. Dr. S.P. Vani, Principal Scientist, ICRISAT Hyderabad, spoke on Biodiversity in semi-arid topics: challenges and opportunities. He said that the major drives of biodiversity loss were land use change (Fragmentation of habitat), invasive alien species, over exploitation of commercially important species, nutrient loading (Population), climate change, bad policies, high population density etc. The ICRISAT Genebank in India holds 118,882 accessions from 144 countries. He dealt in detail on the diversity in varieties of sorghum, pearl millets, pigeonpea, chickpea, groundnuts, small millets. He spoke on the Svalbard Global seed vault which stores duplicates of Seeds from around the globe. Shri Amresh Kumar, Executive Director, NABARD, Mumbai spoke on involving grassroot level organizations, banks and private sector in biodiversity conservation efforts. He emphasized on the possible role of banking system, SHGs in agro bio-diversity conservation and his experiences with Self Help Groups and said that NABARD can play an important role in promoting bio-diversity conservation compatible banking financing in the country through soft loan or grant funding . Dr. D.K. Arora, Director, in National Bureau of Agriculturally Important Microorganisms (NBAIM), Mau, UP spoke on the microbial diversity. He said that it was only in the past three decades that researchers have begun to recognize how ubiquitous and useful microbes are. India is endowed with enormous variability in fungi, bacteria, including actinomycetes, viruses and cyano bacteria. He spoke on the prospects of thermophiles in bio-economy, versatility of biomolecules, microbial bio control agents, pesticides and herbicides along with GMOs (genetically modified organisms). He said that the need of the hour was to foster multidisciplinary involvement in microbial diversity research. There is need today to create, maintain and integrate databases of microbial information including molecular, phenotypic, chemical, taxonomic, metabolic and ecological information. Prof. Sarita Srivastava, Professor, Department of foods and nutrition, GBPAUT spoke on the biodiversity of small millets. She spoke on the biodiversity in varieties of barnyard millet, foxtail millet, proso millet, little millet, Finger millet, their neutraceuticals and therapeutic properties. Dr. R.K. Pathak, Chief Consultant, National Horticulture Mission, New Delhi, spoke on current status of biodiversity, conservation and utilization for sustainable agriculture. He spoke with a special emphasis on horticultural species. An ideal horticultural variety one is with a dwarf tree structure, regular precocious and prolific bearing, wider adaptability, uniform shape, size, attractive peel color, pleasant aroma, long shelf life and distant transport quality. He dealt in detail with the National Active Germplasm sites (NAG) and holdings in the country whose nodal agency is the NBPGR (National Bureau of Plant Genetic Resources). The roles of the NAG sites are exploration, collection, assessment, characterization, evaluation, conservation and utilization. They serve as a nodal agency for planning, collection, characterization, conservation, exchange and quarantine of plant genetic resources. Prof. A.P.Singh, Dr. Ram Manohar Lohia National Law University, Lucknow spoke on the salient features of the biological diversity act, 2002 and the Biological Diversity rules. He dealt in detail on the basic concepts of the act like Benefit claimers, Biological resources, Biological diversity, Bio-survey, Bio-utilization fair and equitable sharing and sustainable use. Prof. Sheo Pujan Singh, Narendra Dev Agricultural, Faizabad, spoke on cucurbit biodiversity and their medicinal properties. About 22 cucurbit species are grown in India, out of which Muskmelon, Watermelon, Bitter gourd , Pointed gourd , Sweet gourd, ivy gourd, ash gourd, pumpkin, bottle gourd were dealt with in detail by him. The conference ended with a vote of thanks proposed by the Special Secretary, Forests, Shri Pawan Kumar.